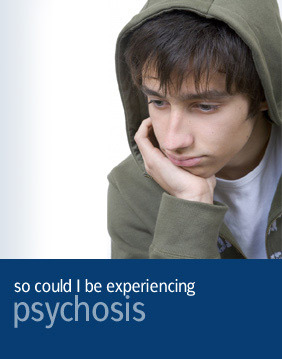 Could the way I’m feeling be due to a paranoid psychosis? The word "paranoia" is used to describe when someone is experiencing a delusion that they are being watched, people are out to get them, their life is in danger, they are suffering from an unknown disease, under control of an unknown person or entity or being directed by God etc. Someone suffering from paranoid delusions may have difficulty distinguishing between what is real and not real. Paranoid thinking typically includes beliefs of persecution or beliefs concerning a perceived threat towards oneself. Paranoia can also be a side effect of medicinal or recreational drugs such as marijuana (pot, gange, herb, weed) and particularly stimulants such as methamphetamine and crack cocaine. Commonly experienced paranoid delusions can include the belief that you are being followed, poisoned or loved from a distance (often by a well known person, tv personality or other important person, a delusion referred to as erotomania or de Clerambault syndrome). Other common paranoid delusions include feeling that you have an imaginary disease, infested by a parasite (delusional parasitosis); delusions can include persons believing that they are on a special mission or has been chosen by God; that the person hears voices has had thoughts inserted into their head; or that the person's actions are being directed by a higher order or by an external force. What should I do if I think I am suffering from delusions or paranoia? If you think you may be experiencing any of the symptoms mentioned above you should contact your GP as soon as possible. It is important to note that using illicit substances can increase the risk of developing symptoms and so continuing to use drugs whilst you have potential mental health issues can worsen the symptoms that you are experiencing.